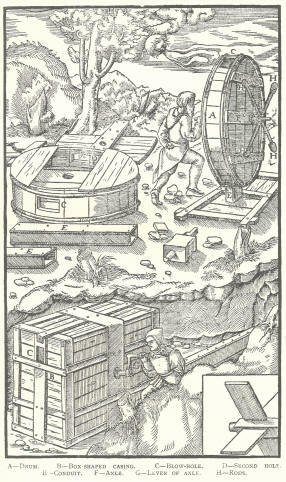 (Left) This engraving from Agricola shows a large air blower of the type which might have been used in the Alderley Mines when working a "blind heading", a passage with no other means of ventilation. 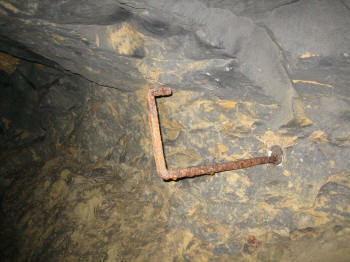 Once the mines were established, routes were developed to encourage air to flow naturally through the mines using ventilation shafts, forced ventilation with fire baskets and internal air circuits. 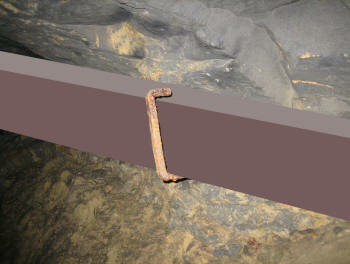 (Right) Reconstructed air door. 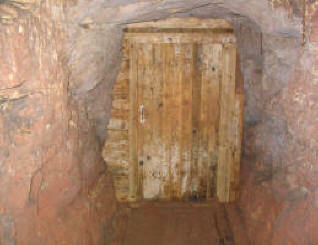 This reconstructed air door in Wood Mine has been built in the place where evidence strongly suggests there was previously an air door to assist in the management of ventilation of the mine.